AUGUSTA, Maine — Republican Gov. 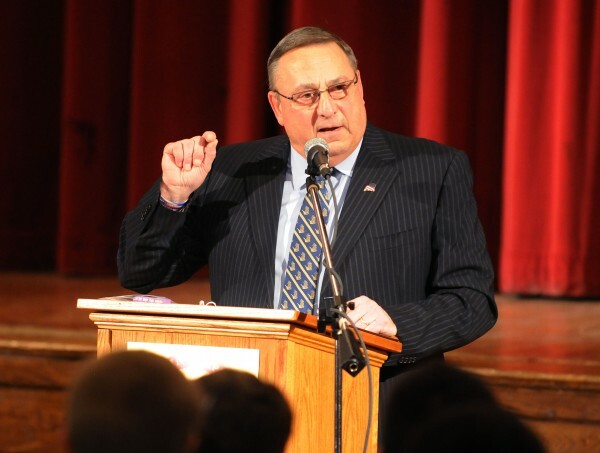 Paul LePage announced Friday that he will seek changes to the state’s Temporary Assistance for Needy Families program in order to avoid millions of dollars in federal penalties that he said result from a welfare system that’s too generous. Democrats said the problems in the TANF program are not new and that LePage is highlighting the issue now to bolster his image as a welfare reformer. Federal TANF rules require certain percentages of recipients to work, but according to LePage, Maine has enacted exemptions including inclement weather, an illness, a lack of transportation or several other “good causes,” that allow recipients to avoid the requirement. LePage wants to change the state law that allows those exemptions. “The work requirement exceptions written into Maine law completely circumvent the good intentions of the landmark 1996 federal welfare reform initiative and have resulted in our state falling well behind others in terms of limiting welfare dependence,” said Fredette. TANF was created in 1996 as part of a major federal welfare reform effort. Funded by the federal government, the program is designed to provide temporary financial help for children and their parents while the family works toward becoming self-supporting. Rep. Richard Farnsworth, D-Portland, co-chairman of the Legislature’s Health and Human Services Committee, said Friday afternoon that he and other Democrats are open to working with LePage to correct problems in the program but that the governor’s announcement Friday was the first that he’s heard of the extent of the federal fines. In a letter to legislative leaders dated Friday, LePage wrote that existing Maine law — specifically the work exemptions — makes it difficult for DHHS to impose penalties for TANF recipients who don’t work. Sara Gagne-Holmes, executive director of Maine Equal Justice Partners, said that this problem isn’t new. She views LePage’s announcement as politically motivated. Gagne-Holmes said Maine isn’t alone in its struggles to comply with TANF participation rates — meaning the number of recipients who are working at least 30 hours per week — particularly among two-parent families, 90 percent of whom are supposed to be working, according to federal law. She said that category currently includes about 1,250 Maine families, more than 700 of whom include one parent who is somehow disabled. Most TANF recipients are single mothers who fall into an “all family” category, where the required work participation rate is 50 percent, said Gagne-Holmes. However, according to letters from the federal government to the state that were given to the Bangor Daily News by the LePage administration, there have been years when Maine did not meet the requirements in either category. The documents show that the federal government could impose penalties in Maine of about $1 million for 2007, $2.5 million in 2008, $4 million in 2009 and $5.6 million in 2010. The LePage administration said the penalties for those four years total $13,159,557, though that amount could be reduced if Maine takes corrective action. Welfare reform, including in the TANF program, has been a major focus of the LePage administration, which often has touted that the TANF caseload is on the decline. According to new figures from the administration, the caseload has decreased from 15,000 cases in January 2011 to approximately 7,752 last month. That decrease was due in large part to language enacted as part of LePage’s first biennial budget, which put a five-year lifetime cap on the receipt of TANF benefits. LePage spokeswoman Adrienne Bennett said imposing the five-year cap was another example of LePage’s attempts to bring Maine’s social services programs in line with federal requirements.